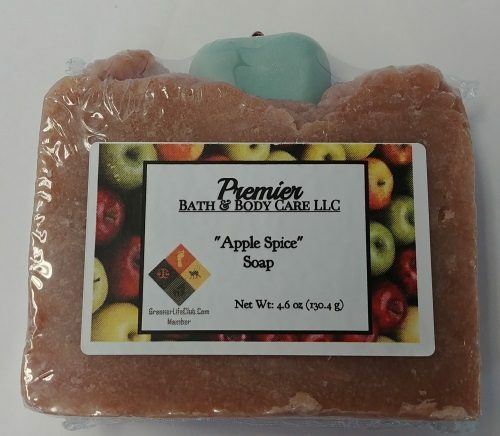 Short Product Description: Each of our Apple Spice soaps and topped off with our Green Apple embeds scented with apple green fragrance oil. 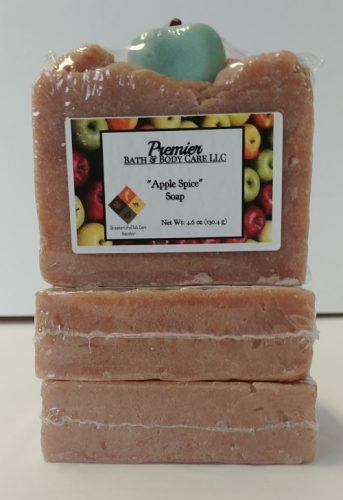 Apple Spice Soap— This soap is inspired by a warm delicious apple pie on a beautiful autumn day! 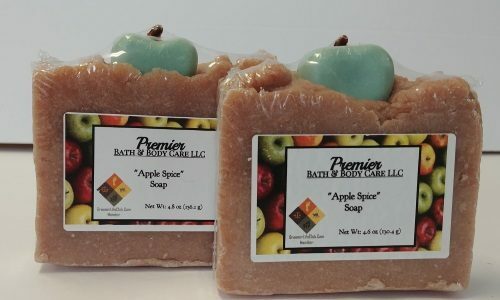 Our “Apple Pie” fragrance has a scent of a mouth-watering blend of apples, cinnamon, brown sugar and fresh baked pie crust. 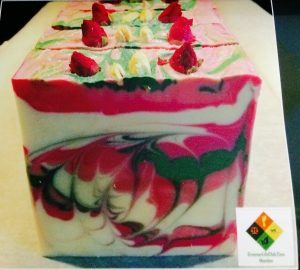 Each of our soaps and topped off with our Green Apple embeds scented with apple green fragrance oil. Apple Pie Fragrance Oil: A mouth-watering blend of apples, cinnamon, brown sugar and fresh baked pie crust. 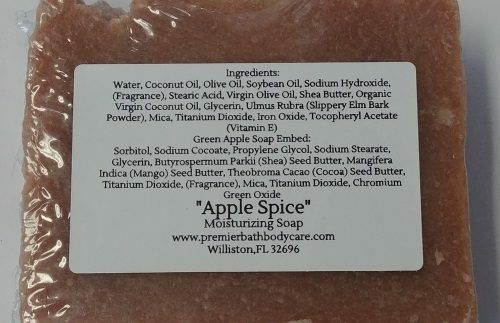 Apple Green Fragrance Oil: A refreshing mix of crisp green apple and fruity floral. Top notes of green apple, crisp citrus, and nuances of Berries. Peach mid notes reaching into a light musk at the base of the fragrance.